While it is unclear whether Ruiru will be receiving water from the controversial project, it is clear that the Kenyatta family is in the advanced stages of building a megacity that will make other planned cities such as Tatu look like child’s play. The family is capitalizing its vast land holding in Ruiru where their flagship business, Brookside, is currently based. Dubbed Northlands City, it is expected to compete with Nairobi’s CBD as it not only sits on more than 11,000 acres but it is well planned to rid it of disorder and traffic jams that characterize the Nairobi city centre. It is connected to the Thika Superhighway as well as to the recently completed Eastern bypass in addition to its proximity to Jomo Kenyatta International Airport (JKIA). 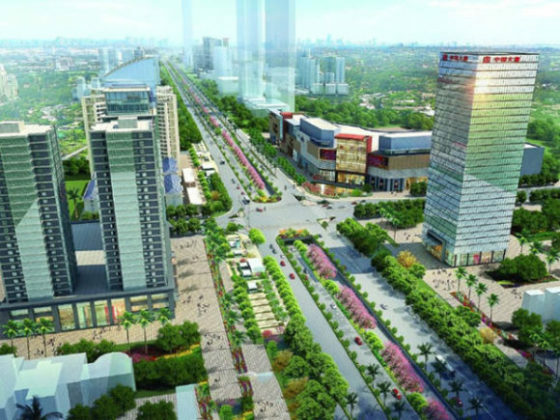 An estimated 250,000 people will live or conduct business in the city where 3,570 acres have been set aside for residential housing — including low density residential (3,134 acres), high density residential (306 acres) and medium density residential (130 acres). Northlands will also have a high-density residential area on which blocks of flats having 6,980 housing units and 3,100 townhouses will be built. On the other hand, 390 acres have been set aside for a business district, including 33 acres for a mall/hotel and two acres for a clubhouse.